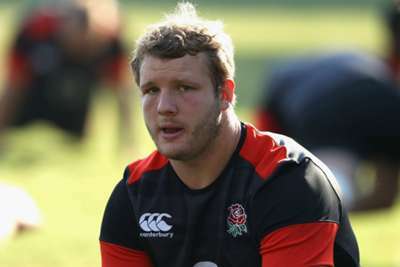 Joe Launchbury will be fit for England's second Test with South Africa on Saturday after missing the 42-39 defeat in Johannesburg. The second row was not part of Eddie Jones' side at Ellis Park due to a calf injury, Launchbury watching on from the stands as England threw away a promising start against the Springboks. Bloemfontein will host the second of three matches between the two sides this weekend and the tourists expect to have the forward back in contention. "Joe trained very well today, and is fit and available for selection," assistant coach Steve Borthwick told BBC Sport. "Even though he wasn't available for selection last week, his influence was excellent, which was great credit to him." Jones will announce his starting XV on Thursday and could also hand a first start to Brad Shields, the New Zealand-born flanker having made his debut last weekend. "While Brad is not experienced at international level, he is a very, very experienced player," added Borthwick. "The first thing that helps him fit in is his character. He has come into this squad, worked extremely hard and earned the respect of his team-mates." Saturday will be England's third visit to the Free State Stadium. They won on their first trip in 2000, but were beaten 58-10 seven years later.